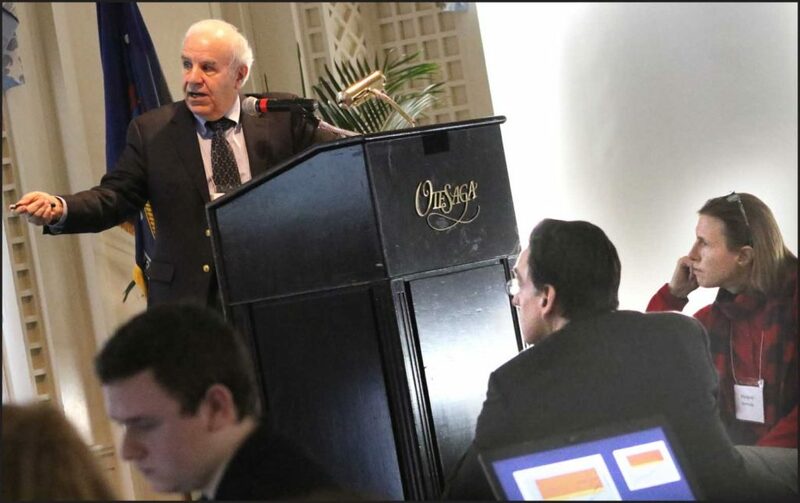 “Time is not on our side,” Cornell professor Tony Ingraffea tells the Otsego Chamber’s “Energy Summit” Thursday, Jan. 31, at The Otesaga. Listening at right is Rep. Meg Kennedy, R-Mount Vision, who announced members of a 21-member energy task force created by the Otsego County Board of Representatives. Next to her is Keith Schue, Cherry Valley, an engineer advising Otsego 2000. The debate around here has appeared to be all about energy. Jan. 31, at The Otesaga, you’d have come to a different conclusion. The discussion’s all about jobs. Energy is the means. Which can best produce jobs, gas or renewables? Ideally, both. We know The Earth is under challenge. The question locally is, what is our role in fixing it? The numbers convincingly argue, not much. 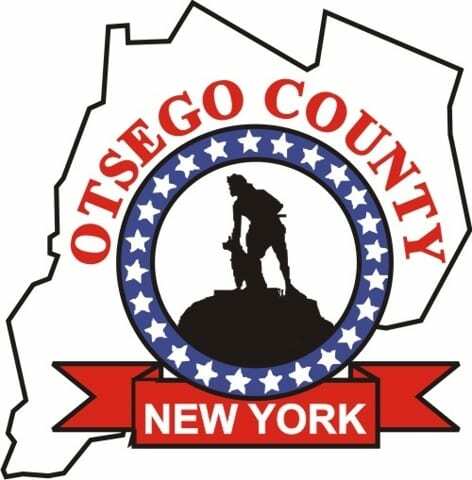 Otsego County is micro; the solution is macro. Renewables are already creating more jobs than fossil fuels, Lou Allstadt reported. He provided a list that appears at left. With 0.018 percent of the U.S. population (less than 2/100ths of one percent), and 0.00008 percent of the world’s (less than 1/100,000th of one percent), the fate of The Earth isn’t going to be decided between Richfield Springs and East Worcester. 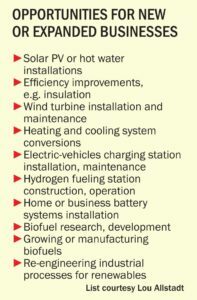 Still, with the local anti-gas movement willing and probably able to tie up any gas-using undertaking in court, it makes sense to focus: How many renewable-related jobs can we get here and how quickly? 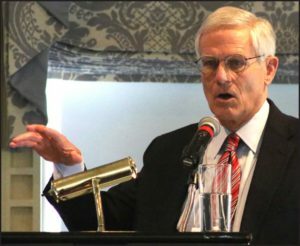 Allstadt, the former Mobil Oil executive vice president turned renewables pioneer, showed that, nationally, green jobs are being created more quickly than fossil-fuel jobs. Many of these jobs are for the carpenters, electricians and plumbers of the future, and NYSERDA’s speaker reported the state has allocated $70 million in Energy Efficiency and Clean Technology Training. How can we get some of that money? Exhibitors included Revolution Solar, Heat Smart Otsego and similar entities that are creating jobs or connecting projects with job creators. That’s great. How can we get more of them? A particularly enticing idea came from Mark Davies, the Hartwick College professor who chairs Oneonta’s Environmental Board: “eco-commercial parks,” where, for instance, one company’s waste product may be another’s raw material. The nearest such park is in Devens, Mass. – the former Army fort – where Bristol-Myers Squib, the pharma company, is investing $1 billion and partnering with a job-training company, mining phosphorus from waste water, and providing supplies to nearby VeryFine. Davies said he raised the eco-park concept in October with Otsego Now CEO Jody Zakrevsky, who is putting together a working group to pursue the idea – perhaps looking for synergies among microbreweries or value-added food products. Promising. In Richfield Springs, Zakrevsky said, Andela Products, with the help of a $950,000 state grant, is looking at the 40 acres just south of the village for an expansion plus a commerce park. Twenty acres contain an early Indian tool-making site; they’re off limits. But the other 20 acres might accommodate Andela’s Ruby Lake subsidiary and a solar farm to power it. Plus, Andela recycles glass: Maybe its customers would locate nearby. New York State is gung-ho on renewables – NYSERDA, NYPA, the SUNY system many initiatives at the summit – but has no eco-park; not a one. Why not in Richfield? Why not at Oneonta’s D&H yards? If the state wants to invest, why not invest here? Conventional industries, other speakers made clear, need gas. 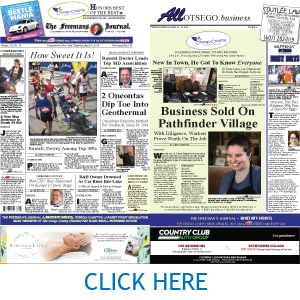 With the Constitution Pipeline blocked there is none here, Leatherstocking Gas Co. President Mike German reported; so new employers have to locate in northeast Pennsylvania, and they are. NYSEG spokesman Cindy Chadwick said that utility will move ahead on upgrading the 8-inch pipe from DeRuyter to 10 and 12 inches but, when complete, is unsure there will be any gas to fill it. According to Zakrevsky, natural gas – a pipeline from Cobleskill – could allow the 300+ job distribution center to happen at Schenevus within months. You could either call this a dilemma or a happy conjunction of opportunities for Otsego County: Green jobs AND gas jobs. 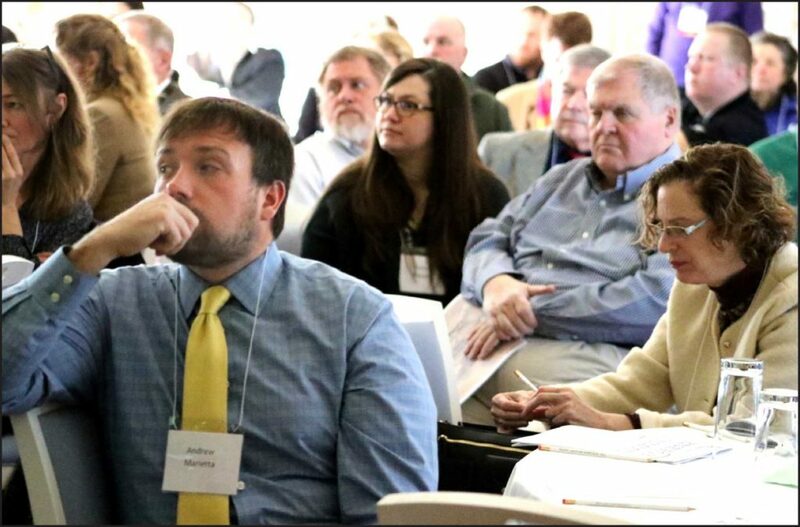 Whether to pursue one or the other or both is what Otsego County’s 21-person Energy Task Force, unveiled at the summit by county Rep. Meg Kennedy, C-Mount Vision, will have to tackle. The good news coming out of the chamber’s Energy Summit is the poverty and loss population doesn’t have to be in Otsego County. Anyone listening fairly to the presentation needs to conclude: We need gas now as we vigorously pursue a renewable future. To chamber Board Chair Al Rubin and President Barbara Ann Heegan: Well done. How richly ironic, the old IDA site in Richfield, where the Sentinel plant still stands years after it closed, has been rezoned and now is classified a floodplain, due to CLIMATE CHANGE. A 100 year flood every 10 years or so will do that. Otsego Then vs. Otsego Now. 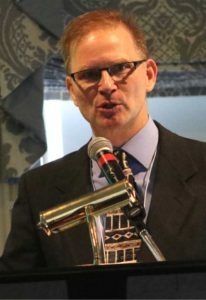 How superbly ironic, this summit held at the Otesaga, which is a HUGE user of propane (take a look out back), and, along with the hospital, hotels and restaurants drive a large part of our local economy. Yet there is no discussion of a pipeline to Cooperstown??? Instead, Otsego Now insults our intelligence with a proposed pipeline from Cobleskill to Schenevus, a distance of roughly 25 miles ( while the distance between Richfield and Cooperstown is about 15)??? And, in fact, by talking with contractors at the time, I believe that NYSEG installed a tap expressly to bring gas along the Route 28 corridor to Cooperstown when they first extended gas lines into the village of Richfield Springs back in the 90’s. So when you hear that hundreds of (low paying service) jobs are promised with the build out of natural gas infrastructure I suggest you view the vacant storefronts along Main Street in Richfield as a cautionary tale. Pipelines and pipedreams. Renewables and new technologies must and will be the drivers leading us into a cleaner, healthier future. And though fossil fuels still have a role to play, they now must learn to be good passengers and not try to grab the wheel or change the station. And turn the map over, you’ve got it upside down.